Transforming Hollie: Too Fat to Fly? 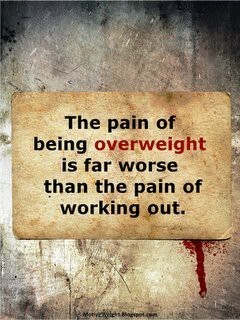 Being overweight is painful... I have bruises on my upper thighs to prove it. In all my excitement about flying to New York on Tuesday, I had one fear in the back of my mind that just wouldn't go away. Would I be too fat for the airplane seat? You hear these horror stories about overweight people getting kicked off of flights, or made to pay for an extra seat. On the inside I was scared to death that one of these scenarios would happen to me and ruin the experience of going to New York to be a blog ambassador for Slim-Fast. I even confided to my daughter that I had this fear... that is was my ONLY fear when it came to this trip. And do you know what? That fear was nearly realized. I WAS too fat for the seat. I have flown on a plane before, but it's been at least 15 years. I am not, and have never had a fear of flying, I just haven't had the money or opportunity to fly anywhere in a long time. When I boarded the plane on Tuesday, I was very surprised to see that I was flying on a jet... that was very, very tiny. There were only seats for about 36 people, the aisles were tiny, and there was hardly no overhead room for bags. I only had a laptop bag with me, but when I tried to shove it under the seat, it wouldn't fit. But by this time I was so panicked that was the least of my worries. Which didn't fit at all. Not even close. I desperately started searching my mind for what to do. All the while trying not to cry. This trip to New York was like a dream come true. And now, ironically, my weight was about to keep my from a trip that could give me the tools, support, and accountability I need to LOSE weight. The flight attendant looked like he could be Matt Damon's little brother. I got his attention and pointed to my seat belt and told him it wouldn't fit. (I'm trying hard not to cry while I even type this. #humiliated). He put up a finger as to say "one second", went up the aisle, reached into an overhead bin, walked back to me, and VERY DISCRETELY slipped me something that I found to be a seat belt extender. I was relieved. For a moment. Ok, so now I was all buckled in, but my feet were still shoved into my bag, unable to move. It was about this time that the captain came on the intercom to announce that air traffic control had delayed our flight for 27 minutes. And let me tell you, that was a LONG 27 minutes. By the time the plane took off, my feet were numb and I was so uncomfortable I was on the verge of tears again. The seat handles were DIGGING into my thighs, I couldn't shift or move in my seat... it was horrible. I got the idea to take my bag and sit it in my lap during the flight, so I could move my feet around a little, which did help. I thought about asking for help to put it in overhead, but I remembered that people were already having trouble getting their stuff to fit in. I was too embarrassed to do anything but just sit there and pray that I could get to NYC as soon as possible. I felt like I was in hell. There was NO WAY IN HELL I was going to try to pry myself out of my seat and push down that tiny aisle to the "lavoratory". No telling how tiny that was... (scenes from Tommy Boy came to mind... if you've seen the movie you know what I mean, lol). FINALLY, we arrived at LaGuardia, where I waited until everyone was off the plane until I heaved myself out of the seat and got off the plane. I thanked Matt Damon's little brother for the seat belt extender and gave it back to him. Then I hurried into the terminal to find the nearest bathroom. Honestly, the flight experience was pretty much forgotten as soon as I climbed into the car that was waiting for me outside. Like I said before... it was SUCH a great day. But as I was sitting in that airport again for the flight home, I started dreading it again. A quick glance at my boarding pass and I knew I would have the same type of jet on the way home. So I started coming up with a plan. I peed BEFORE I got on the plane. I also took off my SPANX so I would hopefully feel less "stuffed". Slim-Fast was nice enough to give us all a "goodie bag", so I used it as a purse and put my iPad, ID, and boarding pass in there for the flight so I could definitely put my laptop bag in the overhead as soon as I got on the plane. I sat close to the gate so I could be one of the first ones on. And thankfully, I had a solo seat again. ***side note*** I am thinking about writing American Airlines to thank them for both flight attendants being so discrete about the seat belt extender. They were both very conscious of the way they gave it to me, which really made me feel like they knew it must be embarrassing and humiliating to have to ask for one. That meant a lot, and really cut down on how bad it SUCKED to have to have it. The handles to the seat still cut into my already bruised thighs, so that was very uncomfortable. But during that flight home I made a vow that the next time I ride in any type of aircraft I will be able to comfortable sit in the seat WITHOUT an extender. I will never allow being overweight to humiliate me in that way again. Never. So now, when I am struggling on this plan, or feel like I want to binge and blow my diet, I will think of this painful experience. Hopefully it will drive me to keep my eyes on the prize. A healthy, comfortable life where I don't have to fear being too fat to fly. The problem too is when you're also tall like you are! And you know it's funny....last time I flew from Canada to the U.S., I noticed the plane on the flight from the U.S. back, the seatbelt was much shorter. So it's not just you, it's the planes. Oh my I couldnt imagine being faced with that issue. I would have definately been in tears. You are very strong. And definately could see how this could be a great motivator. Good luck. Forget the seatbelt! How cool is it to be a blog ambassador for slim-fast?! great job! You're going to fit in those seats in no time. There are problems for tall people too. I'm 5'10 with long legs (ex sportsperson), and fitting into the room they give me can be...tight. My brother has it far worse. He's 6'8" and has to pre-book an exit seat - which they make him pay extra for! If I were in charge of an airline, I'd simply offer a range of seat sizes, so people could choose what they wished. You could choose to have more room, or more leg room, and everyone would be happy. Also, people who send their kids travelling by themselves (my son travels internationally at age 7 by himself) could pay less for smaller seats. Of course, that would involve not treating people like cattle! But I'd happily pay a bit more for some extra leg and seat room! In first you get a bit more of both, but not enough legroom for my brother still! I'm glad those attendants were discreet, by the way. It's their job to make everyone comfortable - it sounds like they did exactly that! Your post brings back memories. I haven't flown that much and it's because of my weight. The last trip I took was for business a few years ago. Since it was a business trip, the company paid for the ticket, but I paid extra to upgrade to 1st class because the seats are a tiny bit wider. Still a small airplane so the difference in the seats wasn't all that great. I had to ask for the seat belt extender. I felt ashamed. The food tray would not lay down because of my thighs. It was not pleasant. My husband travels all over the world for business. I'm not sure how he does it except that I know he flies in bigger jets and has business or first class seats. I would have liked to accompany him on some of his trips, but with my weight I just didn't feel like shelling out the $$ for the first class ticket to another continent. I too will try to remember these flight experiences and use as motivation to eat right. I know the feeling... of the arms digging into my hips. It's awful. Thank you for sharing this, it makes it feel a little less shameful, if you know what I mean? First, congratulations on being a Slim Fast blog ambassador! That is really awesome. And second, you should absolutely write the airline to tell them that you appreciated how their employees treated you. Big corporations get so many negative responses that I feel like they hardly pay attention anymore. Hearing something good would probably be appreciated and encourage them to implement more sensitive policies in the future. And lastly, this post reminded me of the incident that started me on my weight loss journey in the first place. I was on a tiny tiny commuter plane one time (the kind w/ only 1 seat on each side of the aisle) and the captain came back to inform the very nice woman in front of me that the plane was overweight by 30lbs (like I said, teeny tiny plane) and because the woman had been flying stand by her bags were going to be sent on a later flight to save weight. He was giving her the option of letting this happen or leaving the plane to fly at a later time with her bags. She ultimately decided to stay on the plane and get her bags later, but all I could think of was that if I wasn't so fat that woman could have kept her luggage. I felt like everyone else on the plane was thinking the same thing. It was horrible! I have since lost that 30lbs. and a few more, but I still have a LONG way to go. Thank you so much for this post and for inspiring all of us. You rock! I am trying to read your blog, but can't :( On my computer, the words can't be seen well due to the color of the background. Has anyone else said the same? so excited for you! This experince with Slim-fast is going to be great! And as far as the plane seat thing - I love how you are using it to motivate yourself! You go, girl!! Oh Hollie, I know just how that feels. I went through it too :( It is so hard. but let me tell you, it is very joyful the day you fly and your hips glide past the seats down the aisle without touching, and the belt goes right on and there is room in the seat beside you. YOU will get there and you will remember this experience and have such joy at the changes you make! Let it drive you to success! Sadly I dealt with this same problem the last time I flew. So embarrassing! I'm also tall, which made it ten times worse. Here's to hoping neither one of us will need the seat belt extenders ever again. Thank you so much for posting, Hollie. I am 6'5 and over four hundred pounds and dreaded my flight from Arizona to Hawaii and that was after flying from Texas to Arizona. I, too, needed an extension and was so embarrassed. The seat was so tight it squeezed my hips and my legs nearly went numb. I hated the entire ordeal and wanted to die and just told myself to tolerate it. I am now on my way to a healthy and fit me and will never do that experience again!!! Thank you so much for opening up and sharing. I truly feel your pain and know the feelings and burdens you bear. They are heavy and consume your thoughts as they do mine. Thank you for posting. Hi Hollie! I can relate! I so remember being at my heaviest a few years back and was faced with the same problem while flying to Mexico. I was so grateful the airline was so good about making me feel like everything was okay and they were very professional and quiet even though they had to get me a seat belt extender. You definately should write that letter so that they praise those attendants. What good people! Thank you for your braveness in sharing your story. I'm so sorry that you had to go through that experience, it sounds really difficult. I hope you do follow up with the airlines to compliment the flight attendants. I've heard so many stories about flight personnel who have been less than discreet, it's nice to hear a positive story about the way a person was treated who had difficulty with the itty bitty seating. Hollie, I was cringing reading this. I fly all of the time and keeps getting more and more uncomfortable. Part of my motivation to figure this out. I'm feverishly catching up on your blog. From what I've read, you're a celebrity now. I'm always rooting for you! My breaking point was when I took my kids and sister to Six Flags, waited in line to ride the Screamin Eagle roller coaster and when I finally got there, I couldn't fit in the seat, much less buckle it....sooo humiliating! I pretended like I got scared and wanted out...UGH!! Never again...I'm getting healthier and smaller!! I love your blog!!! Hugs and more hugs! That must have been a horrible experience (being uncomfortable when flying is the worst) but I'm glad you go through it. Hopefully that will be the last time it's like that! The seat belt thing happened to me, too. I am claustrophobic and hate to fly, but my mom had died and so I had to make the 2000 mile journey back home and driving wasn't an option. I'm so glad you had kind, considerate flight attendants. I had one. The other, the one on the flight back to the funeral, was a witch. I had gotten her attention and quietly asked for a seat extender. As they're preparing for take off she turns around and loudly says, "Now who was it that needed the seat belt extender!?" That, and my already fragile emotional state, reduced me to tears. I was SO mortified. That's an awesome goal for next time. Thanx for keeping all of us positive and motivated like this! I had that exact same experience but the flight attendants were not so nice. Both my husband and I were humiliated in front of a plane full of passengers.